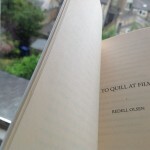 Redell Olsen, “Abigail Child and the poetics of the swoon” / Abigail Child et une poétique de la pâmoison”, Is This What You Were Born For? : Strategies d’appropropriation et collage audio-visuel: Abigail Child. Ed. Francois Bovier. (Geneva: Metis Presses, 2011). Redell Olsen, “the matter of cloven-poetics: or, even the title against itself“. 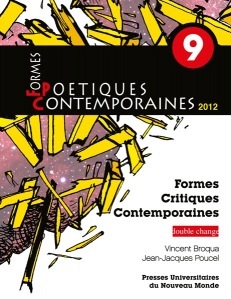 Formes Poetiques Contemporaines. Eds. Vincent Broqua and Jean-Jacques Poucel. (Paris: Double Change, 2012). Redell Olsen. Writing and statement of poetics “Not, A Conceptual Art Poetics” included the anthology I’ll Drown My Book: Conceptual Writing By Women. Eds. Caroline Bergvall, Laynie Browne, Teresa Carmody and Vanessa Place (Les Figues: Los Angeles, 2012). Also available from Jacket2. Redell Olsen, “Book-Parks and Non-sites: Susan Howe’s Scripted Enclosures”. Jacket, Vol. 40, 2010. 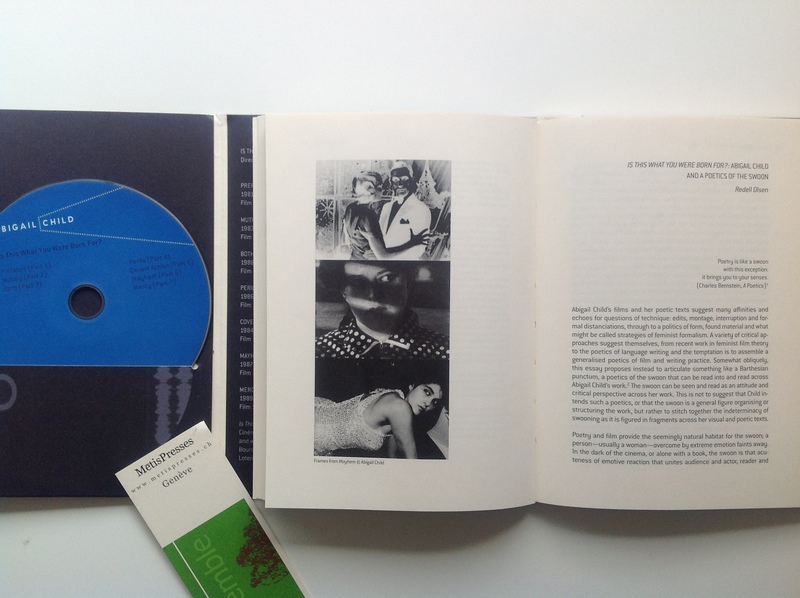 Redell Olsen, “Kites and Poses: Attitudinal Interfaces in Frank O’Hara and Grace Hartigan”. Frank O’Hara Now: New Essays on the New York poet. Eds. Will Montgomery and Robert Hampson, Liverpool University Press, 2010. Liverpool: Liverpool University Press, 2010. Redell Olsen, “Practice Writing: Modernism and the Visual arts”. Teaching Modernist Poetry. Eds. Peter Middleton and Nicky Marsh. Palgrave/Macmillan, 2008. 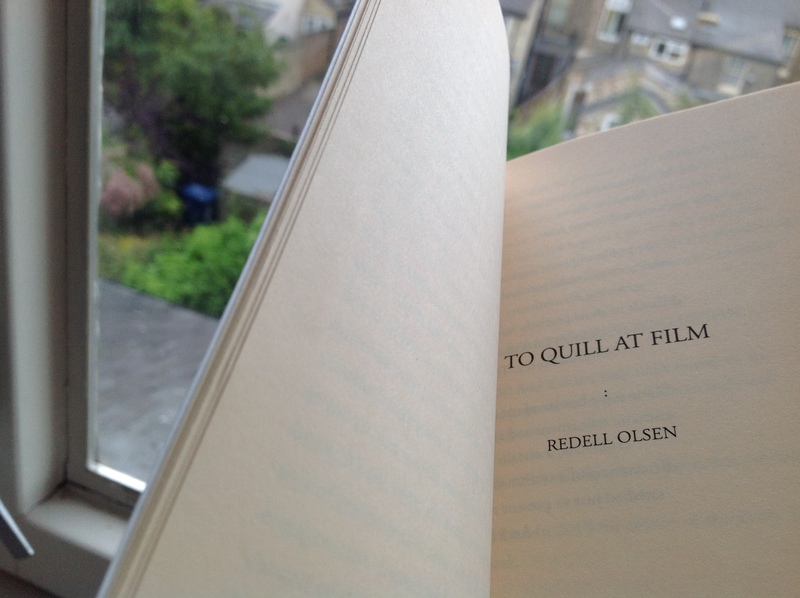 Redell Olsen, “Strategies of Critical Practice: Recent Writing on Experimental and Innovative Poetry by Women”. Signs, 2008. Redell Olsen, “’Simultaneous Equivalents’: Adrian Piper, Bernadette Mayer, Hannah Weiner in 0-9.” Performance Research, Summer, 2002, pp. 60-65. Redell Olsen, “Sites And (Human) Non-Sites of A (Sub) Urban World” The Paper: Additional Apparitions: Poetry, Performance & Site Specificity. Eds. David Kennedy and Keith Tuma. Cherry on the Top Press, 2002. pp. 181-190. (on Carla Harryman and site writing). How(2) is an Internet journal that publishes contemporary and modernist poetry and poetics by women. 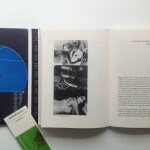 How(2) began as an extension of Kathleen Fraser’s print-based magazine, ‘(How)ever’. From 2006-2010 Redell Olsen was the main editor of How(2) (web design and technical expertise by John Sparrow). From 2003-2006 Redell Olsen was the managing editor of the journal (under the editorship of Kate Fagan). “Imaging After Errors: Joan Retallack.” How(2). 1.7 (2002). “In Conversation with Lucy Sheerman.” How(2). 1.5 (2001). (Book of the Fur).